Houston Mourns Legendary Civil Rights Activist Ovide Duncantell Jr.
One of Houston’s most passionate and committed civil rights leaders has passed away. 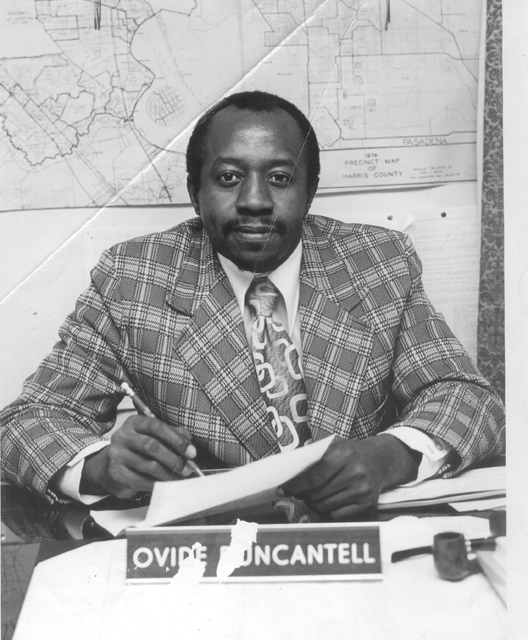 Legendary civil rights activist Mr. Ovide Duncantell Jr. died on the afternoon of October 25th at the age of 82. He has left the city of Houston in a better place than it was because of his life and impact. Many Houstonians have probably seen the Martin Luther King, Jr. Memorial Statue & Park Plaza that sits in Houston’s MacGregor Park or might have attended the Original Martin Luther King Jr. Day Parade. It was Mr. Duncantell who was primarily responsible for these two monumental initiatives and so much more. In 1974, Mr. Duncantell founded the Black Heritage Society (BHS), a non-profit organization with the primary mission of keeping the dream and spirit of Dr. Martin Luther King, Jr. alive. Because of his determination and commitment to the legacy of Dr. King, Mr. Duncantell planted an oak tree in that location in 1983, in order to keep the memory of Dr. King alive, and so that no one would ever forget the end goal to build the statue. It was Dr. King’s very own father, Rev. Martin Luther King, Sr., who gave Mr. Duncantell the idea to plant the tree in that spot to preserve the legacy. He successfully kept the vision alive and saw it through until it came to pass, whereas in 2013 – over 33 years after he envisioned it – the Martin Luther King, Jr. Memorial Statue & Park Plaza was built as a means to officially recognize, sustain and keep the dream and legacy of Dr. Martin Luther King, Jr. alive forever. Now, thanks to Mr. Duncantell, countless Houstonians, students, youth and tourists are able to know about the life and legacy of Dr. Martin Luther King, Jr. His presence will be sorely missed by many. Mr. Duncantell always had a heart for his community and a sincere passion for public service. In 1969, Mr. Duncantell went to work for the Anti-Poverty Program-Houston Community Action Association. There, he organized youth adults and senior citizens to ban together and improve their communities from 1970 to 1973. He later created his own organization entitled “The Central Committee for the Protection of Poor People,” which had a mission to assist the community in obtaining much needed social services. While assisting the community in obtaining these much needed services, he became politically involved with the political infrastructure of Houston, and later decided to run for various public offices, including Mayor and County Commissioner. After unsuccessfully running for office, Mr. Duncantell went on to work for newly elected County Commissioner, Tom Bass, from 1973 to 1977. There he assisted in the appointment of several new key county office positions, and was instrumental in the election and placement of the first Black Harris County Constable, A. B. Chambers, as well as with the elections of several Justices of the Peace. It was also Mr. Duncantell who had become the catalyst behind getting the city of Houston to have South Park Boulevard renamed to Martin Luther King, Jr. Boulevard. Because of this gesture towards the memory of his son, Rev. King, Sr. remained close to Mr. Duncantell, and made a personal appearance at the official event for the street name change, as well as serving as the grand marshal of the very first Black Heritage Society Martin Luther King Jr. Day Parade in January 21, 1978. Another iconic memory regarding Mr. Duncantell involves his commitment to preserving the legacy of Dr. Martin Luther King, Jr., by any means necessary. When the Metropolitan Transit Authority (METRO) announced that it was planning to run a rail down MLK Boulevard, through the path where the MLK memorial tree was located, Mr. Duncantell knew he had to step up and do something to solidify and preserve the memory of the slain leader. Mr. Duncantell tried to negotiate and reason with METRO, so when he felt like METRO was unwilling to properly negotiate he took the drastic step of chaining himself to the MLK memorial tree and refused to move unless an agreement was finalized between the Black Heritage Society and METRO. 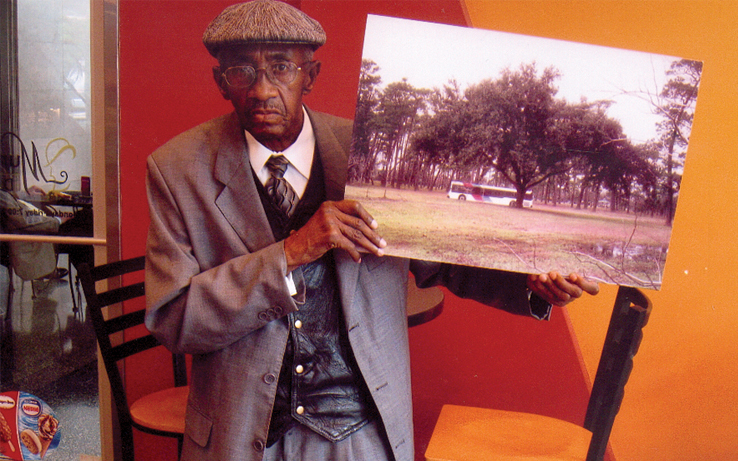 Mr. Duncantell said that he was protesting because he did not trust METRO or the City of Houston to do anything they verbally agreed to do, which was to move the memorial tree 100 yards or so across the street into McGregor Park, and to allow the Black Heritage Society to manage the plaza. He was willing to risk his life and freedom for the purpose of remembering a man who gave up his life for his people. METRO and the City of Houston eventually provided Mr. Duncantell and the Black Heritage Society the assurances he needed to unchain himself and move forward, and the Martin Luther King, Jr. Memorial Statue & Park Plaza is now visited by hundreds of people every week. Mr. Duncantell was born in Natchitoches, Louisiana, August 7, 1936. He attended school there until graduating in 1955, where he entered the United States Air Force and was honorably discharged in 1959. He married a hometown girl and left for Los Angeles, California. However, he stopped in Houston, Texas to visit with his new wife’s brothers and became a permanent resident. Mr. Duncantell went on to earn his Bachelors and Master’s Degrees in Sociology from Texas Southern University (TSU). Mr. Duncantell leaves behind family and friends to celebrate his life and legacy. Funeral arrangements have not yet been announced as of the printing of this article, however, the Forward Times will provide that information once it is shared with the public. Funeral services for Mr. Ovide Duncantell.